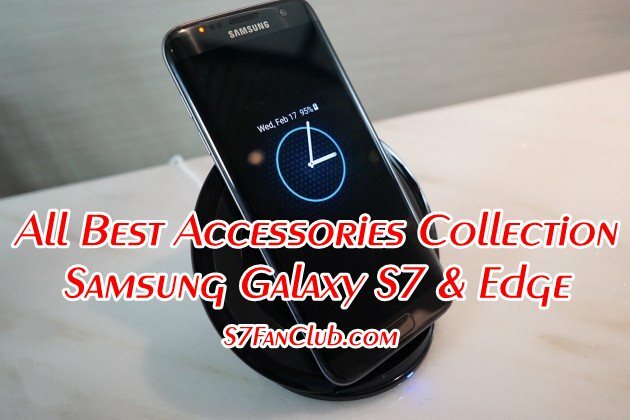 As you know S7 Fan Club is a fan website for Samsung Galaxy S7 and Galaxy S7 Edge smartphone users. And we are at a mission to serve all Galaxy S7 & Galaxy S7 Edge users globally. We are trying our best to cover latest and up to date Galaxy S7 Accessories which are also compatible with Galaxy S7 Edge, except for makeover accessories such as Tempered Glass Protectors and Stylish back covers, which differ from each other due to different dimensions factor. In this article we will keep you updated with Best Collection of All Samsung Galaxy S7 & Galaxy S7 Edge Accessories. Anything latest thing added on the site will also be shared right here, so that it wouldn’t be difficult for you guys to find out the best accessories for your smartphone. Let’s have a look. Do let us know which are your most favorite Galaxy S7 / Edge Accessories? In the comments section below.